There are recipes that you remember for their explosive flavor. Or their rich chocolate icing. And there are some that you remember for wreaking havoc on your life. 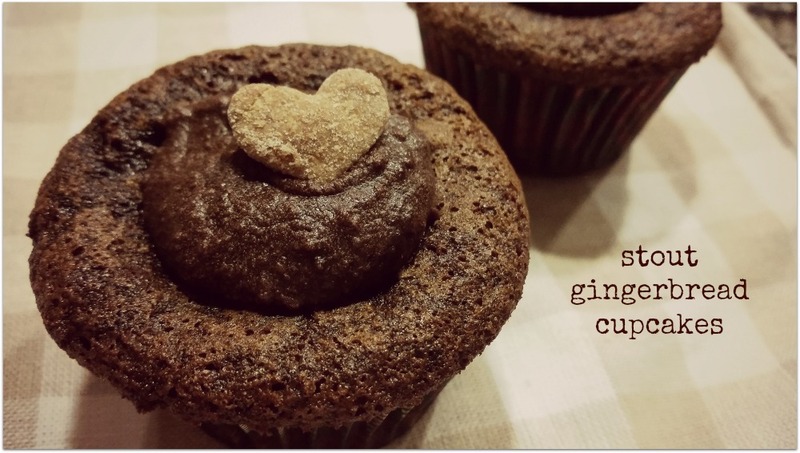 Let me explain: months ago, my friend Rebecca sent me a recipe for stout gingerbread cupcakes. She asked me if they could be veganized. I said, "Of course, everything can be veganized!" Friends, I made that stinkin' recipe two separate times, both resulting in failure. The second time was even more worse than the first time. I've learned my lesson - if something goes worse the second time, you might have to go back to the drawing board. And so I did. I then adapted a recipe from Vegan Cupcakes, just to be on the safer side. This post is the product of that adaptation. These cupcakes have an amazing flavor; that's why I'm posting the recipe here today. I'm sharing my pseudo-successes and failures with you because I wanted to let you know that A) not everything I make is pretty and B) you can salvage your culinary failures. Preheat the oven to 350° and line a muffin tin with nine (or so) parchment cups. In a small bowl, combine the flour, ginger, cinnamon, allspice, cloves, baking soda, and salt. Set aside. 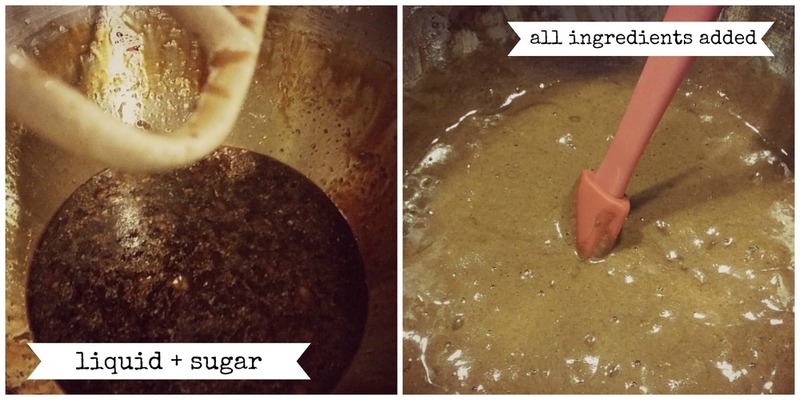 In a large mixing bowl, cream the banana, coconut sugar, maple syrup, and molasses. Scrape the sides as necessary. Add in the vanilla and stout. Continue to mix. Slowly add in the dry ingredients and then finally the lemon juice. Make sure everything is incorporated. Spoon the batter into the muffin tin. I like to go at least 2/3 of the way full. Bake the cupcakes for 15-20 minutes. Insert a toothpick to see if it comes out clean. If you're cakes don't dimple, congratulations! If not, don't sweat it. Make my chocolate ganache sauce and spoon a dollop into each crater. Top with a gumdrop or other festive decoration. Just own it like you did it on purpose!